It is suitable for packing of PCB, IC and other static sensitive components. 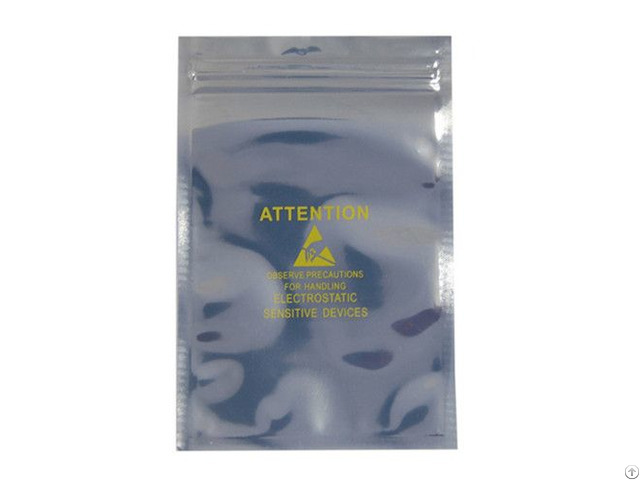 The kind of bag can keep static-sensitive components away from the potential static danger to the largest extent. Its special four -layer structure can create such effect as an inductive cover to separate the goods inside from the static field. The inner layer is made from ethane which can remove the static and avoid static generation inside the bag.